According to the Federal Trade Commission, identity theft is the fastest growing crime in the United States, affecting nine million Americans each year. During the holidays, identity theft is especially rampant. 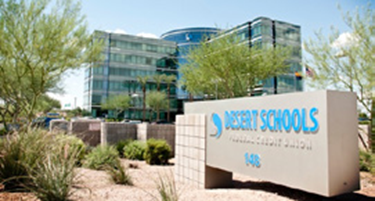 Desert Schools FCU was looking for a solid solution in its continued effort to prevent fraudulent transactions. As one of the largest Arizona-based credit unions with $3.8 billion in assets and more than 3000.00 members at 47 locations, Desert Schools FCU needed a solid solution to help prevent fraudulent transactions and improve member service while conserving valuable space at the teller window. They selected and implemented 440 Epson TM-S9000 multifunction teller devices at all of its branch locations. Critical in their decision was the fact that these Epson teller devices have the industry’s highest quality ID scanners built into them and greatly simplify the capture and validation process for the teller at the point of customer interaction, leading to identity theft prevention and much improved customer service. Another driving factor in selecting this specific model from Epson was the ability to reduce the number of devices they would need to place at their teller windows. They were able to consolidate three devices into one and minimize the footprint and clutter at their teller windows.